One of the hardest things about being a multilingual family is the feeling of being alone on the journey without others to talk to. Few of us really know much, if anything, about effective techniques, available language resources, or multilingual brain development when we first start down this path. Even knowing other families who are bilingual, they may not speak your language or are just as unsure themselves. Luckily, in this day and age, there are so many wonderful communities of support already out there for those of us who seek answers to these questions or just want to share our own doubts, frustrations, and, hopefully, successes ☺. One of the best places to start is Facebook Groups. Some are closed and you have to request to be invited. Others are open to all. There are general ones like Trilingual Family or Raising Bilingual/Multilingual Children, which has over 10,000 members! See, I told you you weren’t alone ☺. Each group has its own culture. The bigger groups can get a bit overwhelming for me and people tend to ask the same questions over and over. That’s why I prefer the smaller groups. They tend to be more active and many of them are closed. Surprisingly, that extra step of actually requesting to join tends to attract people who are more interested in regularly engaging, so I learn a lot more in these. Outside of the general groups, there are often language specific groups like one of my favorites, Raising Bilingual Children in Chinese/English. This group is very active, in no small part due to the dedication of its creator/moderator Oliver Tu. They share amazing resources, do group orders for overseas books, and just really help each other stay motivated. My advice is to check out a few different ones and then just stay involved in the one you find most useful. Being part of too many groups can be overwhelming and you find yourself making fewer connections because you’re spread too thin. There are many individuals, websites, and Facebook or Google+ communities concentrated around raising bilingual and multilingual children as well. Joining or following them can prove really helpful, especially when you find yourself looking for new ideas. 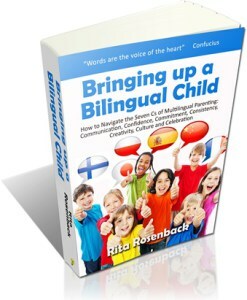 Rita Rosenback runs this wonderful site for parents raising multilinguals. She has a Q & A section where anyone can ask a question of the multilingual coaches (of which, I am one), for free. You can also get a membership to her site with access to a large number of resources just by purchasing her book on Bringing Up a Bilingual Child. For those really looking to connect with other families, her Multilingual Parenting Facebook Page is a great place to start and she also has an International Mother Language Community that is quite active. The Bilingual Zoo, brainchild of Adam Beck, is a forum where anyone can post questions and discuss issues related to multilingual parenting. Whereas Facebook group discussions can be hard to follow, forums are great because the answers are always there and you can easily search previous threads. One thing I like about the Bilingual Zoo’s membership option is the inclusion of challenges and accountability. If you are like most of us, it is easy to let things slide as life gets in the way, often slacking off or leaving acquisition of another language by the wayside. In my opinion, challenging yourself, but then being accountable to others, goes a long way in maintaining motivation and achieving success. If you haven’t checked out Meetup.com, you need to. It’s a wonderful little website where people form groups in a city or area around particular interests. When we were living on the North Shore of Chicago, this is how we found our Turkish Moms group as there were not that many Turks in the area. Meetup.com often has groups for parents raising children in a specific language and, if there isn’t one, you can start one. The Turkish group we joined only had 2 members, a mom and a friend, when they opened the group. It grew to over 10 members within 2 weeks! I also really like the meetups because they combine the ease of digital communication with real-life meetups. In addition to a truly amazing podcast, Marianna du Bosq of Bilingual Avenue has a membership option where she sends regular Newsletter updates to families. This is a great tool for those of us just too busy or forgetful to regularly check different sites. A nice email with tips and resources regularly comes to my inbox. 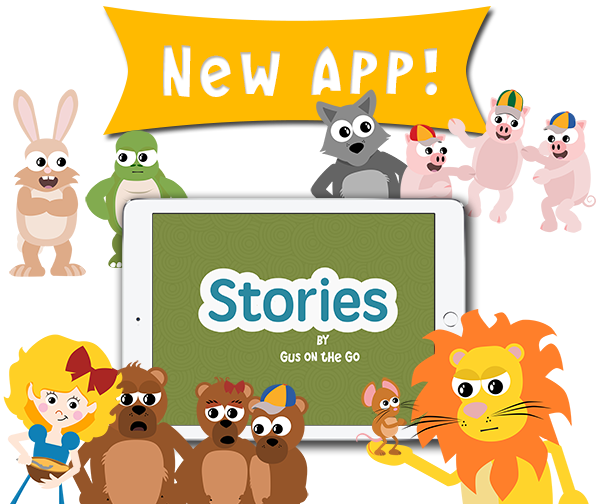 By the way, Gus on the Go also has an email newsletter you can subscribe to with tips and ideas for in class and at-home learning. While not as much of a community as people don’t really email back and forth, it’s still an opportunity to learn and you can often connect with people outside the email lists on the other forums above. Often, through Bilingual Avenue’s podcast or the Gus on the Go blog, I also learn about lots of other great people or resources as well. That’s the big thing to remember. Thousands around the world are trying to raise their children in two or more languages and I’m always humbled by the number of people willing to help, often for free. Nick Jaworski is a devoted father trying to raise his daughter in Mandarin Chinese, Turkish, and English, all as a non-native speaker of the first two. He is also the Digital Community Builder for Circle Social Inc., which is a values-driven social media and content marketing boutique that helps individuals or organizations seek out like-minded communities, engage them, and build value for both the community and organization.